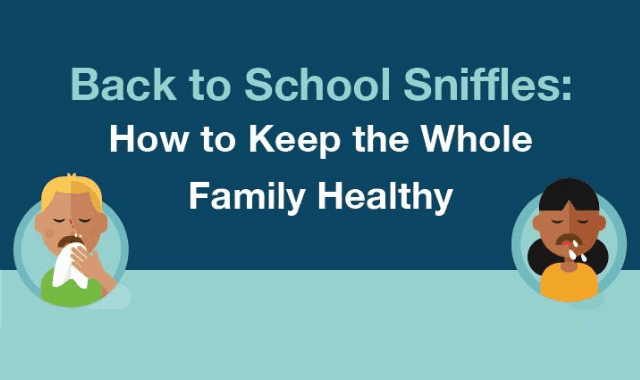 Back To School Sniffles: How To Keep The Whole Family Healthy #Infographic ~ Visualistan '+g+"
There is no denying that kids and their families get sick more often when school is in session. Children don’t fully understand how illnesses spread and may not be the best about hygiene, which makes schools a breeding ground for viruses and bacteria. Kids often share germs better than toys and school supplies, but that doesn’t mean there aren’t ways to decrease the chances your child will bring germs home. Read on to learn how to help keep the whole family healthy during the school year.